TechPats is the world’s leading full service Intellectual Property consulting firm. We bring together patent expertise, technical excellence, and business acumen across a wide range of markets and technologies. We form strong partnerships with our clients, empowering them to grow their businesses, protect and profit from their intellectual property assets, and strategically position themselves for the future. The ideal candidate has proven knowledge and experience in Wireless Protocols, Networks, Systems and Standards. This position is responsible for supporting the execution of technical projects in various Wireless Communication systems and technologies such as UMTS, WiFi, LTE etc. 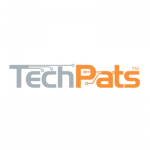 As a member of the technical team, you will be responsible for analyzing any and all types of wireless systems; making use of our analysis and testing capabilities for the purpose of supporting TechPats’ Intellectual Property services for its clients. Advanced Degree (MSc or PhD preferred) in Wireless Telecommunications. Knowledge of Wireless Standards and Technologies (3GPP standards, IEEE802.11).